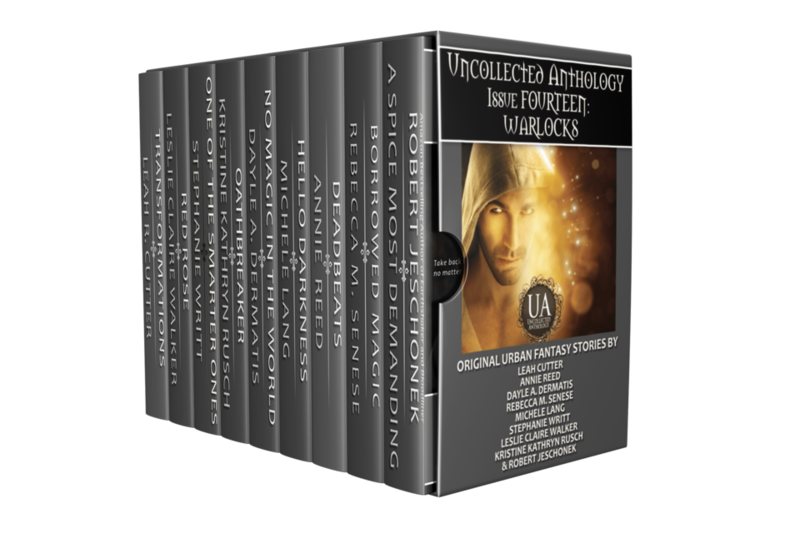 Enjoy the urban fantasy stories of the Uncollected Anthology: Warlocks now collected in this bundle. Grab yourself a shot of magic or call up the last dredges of magic. Discover what comes through an open portal or how an undercover assignment leads to a face-off with a powerful warlock. Find a missing wand to win your beloved’s hand or hide from a soul-hunting necromancer. Reject magic for a normal life and head off to a new job (remember your underwear!) or unravel the mystery of your missing identity.